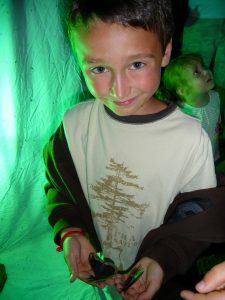 Max Frederick at a 2011 moth night at age 8. Thanks to his mother, Leah, it would be the first of many moth nights for Max. “My mom heard about it and we just started going and we’ve been going ever since,” he said. Max’s interest in moths has never waned. After the Friends of the East Brunswick Environmental Commission launched National Moth Week in 2012 as a worldwide citizen science project, Max continued to be a moth night regular. Now, he’s also a volunteer. Max Frederick today at 15 with his pet blue-tongue skink. 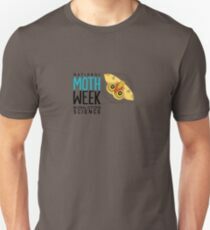 As National Moth Week has become more widely known through various environmental groups and websites around the world, events are springing up each year that aren’t registered on the NMW website, explained Liti. 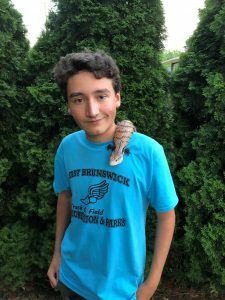 Max will be a junior this fall at East Brunswick High School, where he has been a member and officer of the SAVE Club, which stands for Students Against Violating the Environment. He’s also been active with the Plastic Free EB campaign to reduce plastic bag use in the township. Looking to the future, he is trying to decide whether to go into veterinary medicine or marine biology, but entomology is “definitely a consideration” too. 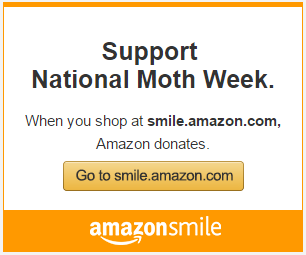 He thinks National Moth Week is a great idea but not enough of his friends know about it. “I’ve been reaching out to them and inviting them to moth nights.” He hopes they’ll join him for the kickoff for National Moth Week this weekend in East Brunswick and around the world.